Safety equipment believed to belong to a missing kayaker has been found in the water in the Portknockie area. Searches will continue for a third day tomorrow to try to find Dominic Jackson. Specialist Police Search Advisors (POLSAs) will co-ordinate further searches of the water and coastline assisted by the dive unit and air support. 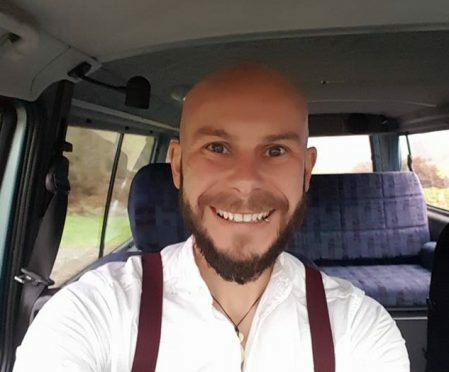 Mr Jackson, 35, was reported missing on Sunday night after failing to return from a sea-kayaking trip in the Portsoy area. Earlier today police said his kayak and a paddle was found off the coast of Lybster in Caithness – while safety equipment was recovered from the Portknockie area. Inspector Ewan Strachan thanked members of the public for their assistance, and urged people to consider their own personal safety given the dangerous terrain and bad weather. Inspector Strachan said: “More than 30 volunteers have turned out to assist with coastal searches today despite the weather, and I cannot stress enough how much this has been appreciated. It also comes as no surprise given the community spirit in the area and the strength of feeling of wanting Dominic to be found. “Moving forward, our search must focus at sea and immediate areas of the coastline – an operation which must be tackled by a highly specialist search team given the dangers and challenges of these terrains. These officers are trained in certain techniques and will be designated to specific areas as we enter our third day of this operation and continue to battle severe weather conditions. “Our main priority is the public’s safety and as such I would urge volunteers to consider other ways in which they can offer support to Dominic’s family and friends at this terrible time. “By no means does this mean we are scaling back our search – in fact our search now becomes more intensive – however we need the right people in the right places to give us the best possible chance.